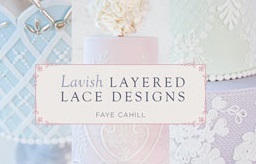 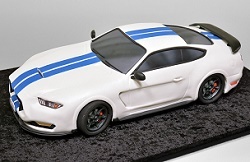 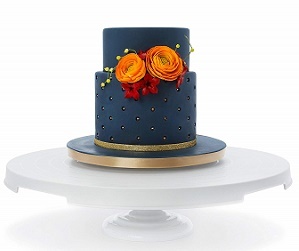 A patchwork design makes a beautiful design motif or side design for an array of party cakes. 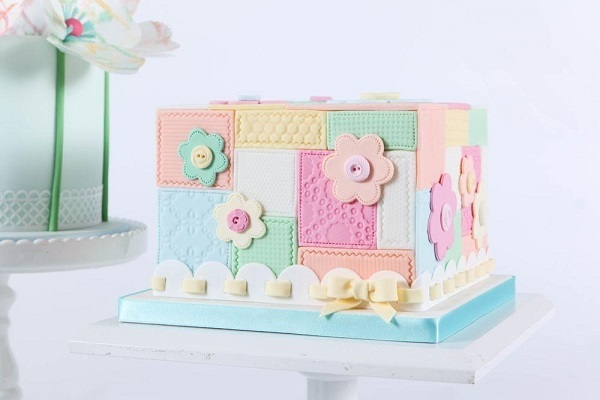 Zoe Clark’s pretty patchwork cake is featured above from her latest Craftsy class (see more details below). 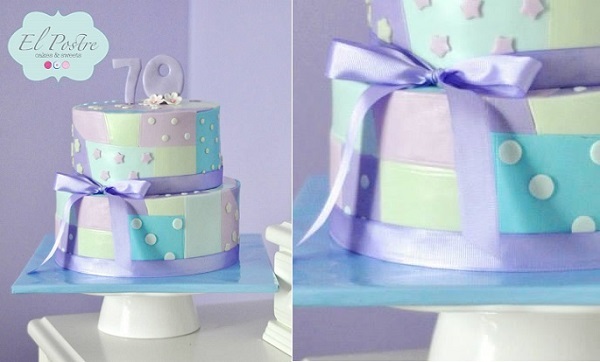 El Postre Cakes & Sweets have designed a beautiful pastel patchwork cake below for a lady’s 70th birthday cake in pretty shades of lavender, mint and powder blue. 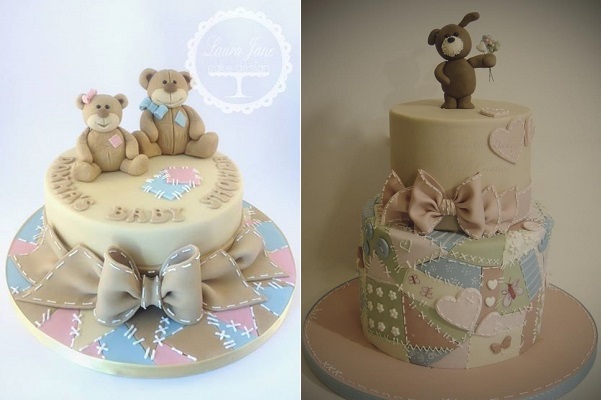 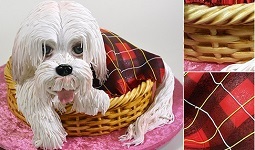 Two adorable cakes for young children feature below from Laura Jane Cake Design (below left), inspired by Shereen’s Cakes & Bakes‘ patchwork puppy cake (below right). 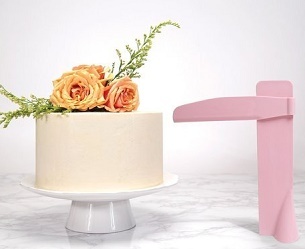 Jo Takes The Cake has created a fun first birthday cake below with mischievous party teddy trying their comical best to hang some party bunting. 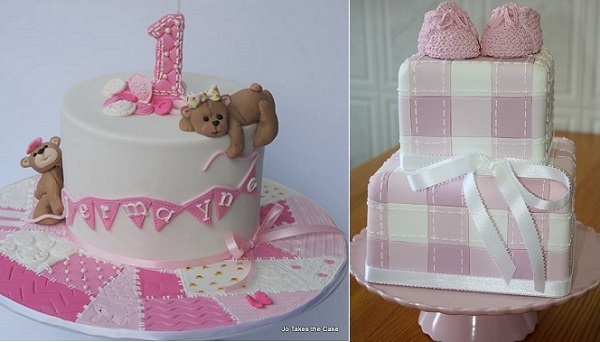 On the right, soft pink patchwork makes a fabulous theme for a little baby booties cake (image via Pinterest). 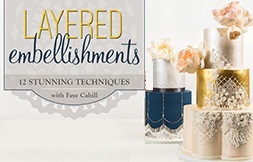 You’ll find full instructions for Zoe Clark’s patchwork cake as well as the selection of pretty cake designs below in her brand new class on Craftsy. 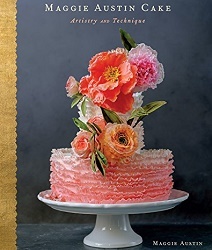 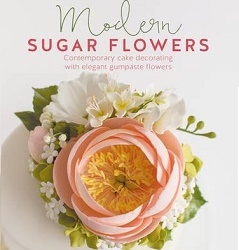 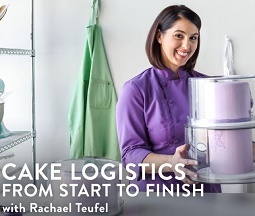 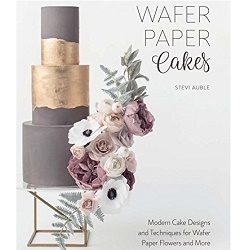 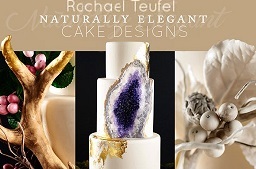 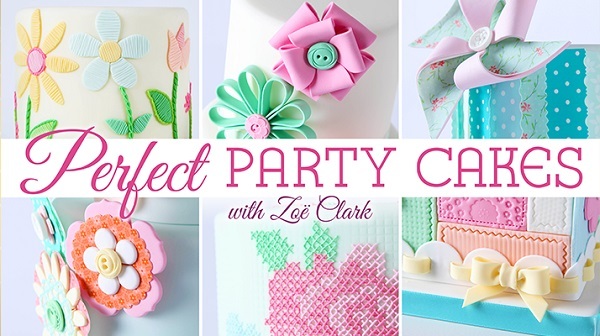 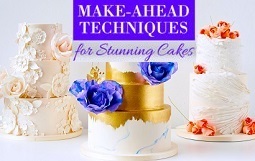 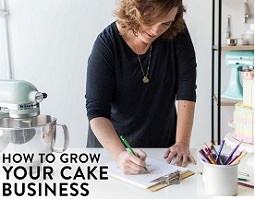 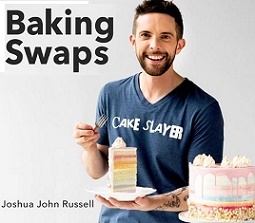 Get more details here: Perfect Party Cakes with Zoe Clark.